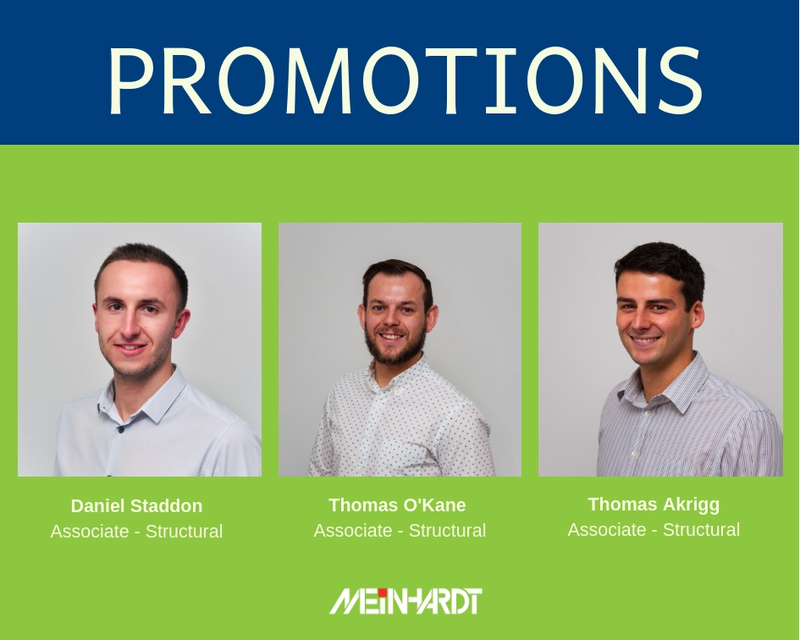 Congratulations to Thomas O’Kane, Tom Akrigg and Dan Staddon on their promotion to Structural Associate. Having joined Meinhardt in consecutive years from 2013 both Thomas O’Kane and Tom Akrigg have been an integral part to the growth of the UK office. They have successfully delivered a series of complex projects ranging from traditional to modern offsite construction methods. Both have continued to share their knowledge within the office and assist in developing younger engineers. Moving forward a few years in 2016, Dan Staddon joined the UK team to ensure the growth of the office continued along with his colleagues above. His hands-on approach to supporting challenging projects along with his support to the team and have made him a key member to the structural team. We would like to congratulate all three in being promoted to Associates and there continued enthusiasm and influence on projects.